The College Hill Neighborhood Association is one of some 50 members of the Greensboro Neighborhood Congress. The GNC is a city-wide alliance of neighborhoods that works to improve the quality of life in the city and its neighborhoods by addressing issues of city-wide importance. Each neighborhood appoints voting members to the congress, with the number determined by the neighborhood’s size. College Hill has two voting members, currently Janet Frommann and David Arneke. All neighborhood residents are welcome to attend GNC meetings, although only the designated members can vote on issues. Lt. Chris Davis of the Greensboro Police Department on neighborhood-oriented policing. 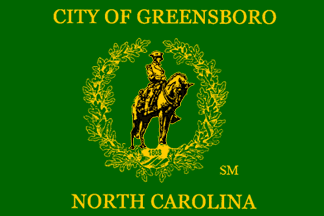 Meetings are held monthly at the Greensboro Public Library Central Branch, 219 North Church Street, in the Nussbaum Meeting Room (on the first floor, immediately to the right after you enter and down the hall. Meeting dates and times alternate monthly between the second Thursday at 7 p.m. and the second Saturday at 9 a.m.